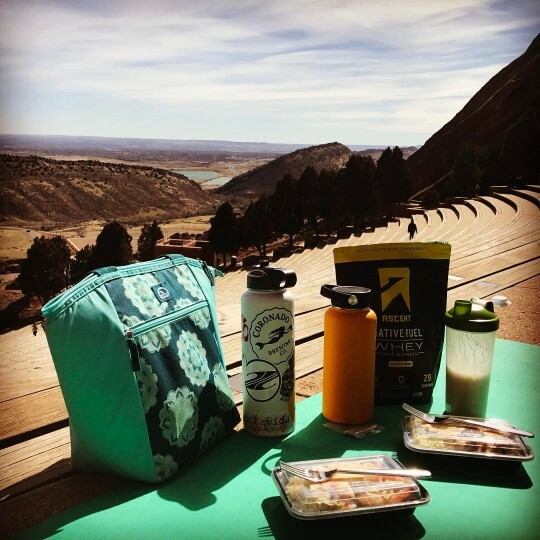 Whether you’re an athlete, active individual, or just a person who has health goals but is stuck in the crossroads wondering where to turn, a meal delivery service could be just what you need. We’ve all been there – standing in the crowded aisle of the grocery store on a busy Saturday morning with the overwhelming decisions of what to make for dinner for the upcoming week. You know by the time you get home from work it will be seven at night, with cleaning up the whole mess you made being the last thing you’ll want to do. And for lunch? Forget about it. You’ll just grab something out when you can. Not only are you overwhelmed by the busy grocery store and abundant choices, but with your health goals in mind, now you have to figure out the most beneficial option for your nutrition as well. Whether it’s a matter of convenience, health, money or time –EatingPrimal is the best way to leave you stress-free, save you money from all the trips out and optimize your health by choosing a service like Eating Primal that provides its consumers with high quality, nutritious food. So, why do meal delivery services like Eating Primal make reaching goals easier? Do you have goals but you’re completely lost when it comes to taking the first step? Using a meal delivery service takes all the guessing (and temptation) out of choosing foods from the store. Meal delivery services like Eating Primal have an easy-to-use ordering process right on our website. No more dealing with traffic and lines in the cash register, with Eating Primal it gets delivered directly to your doorstep or one of our partner locations. The more convenient it is, the more likely you are to follow through and stay on course with your goals. How are you supposed to reach your health goals if you don’t have the first clue about nutrition? Eating Primal not only provides meal delivery services, but we cater to our population of individuals wanting to live a healthy lifestyle as well. We custom-create our menu every two weeks to make sure we have nothing but the freshest, most nutrient dense foods to serve our customers. Having these all natural, organic ingredients in your fridge instead of junk food you picked up at the store when you were hungry will make the biggest difference in your training and in your health. Often times the most underestimated part of exercise, training and recovery is nutrition. We’ve got you covered here at Eating Primal with only the highest quality food provided. When you think about the typical price of a meal during lunch, you’re roughly spending 15 dollars. Now imagine the cost of that over a whole work week – you’ll have spent $75 on lunch for one week without even realizing it! At Eating Primal, the price of our meals are an average of 10-12 dollars for high quality, nutrient-dense food. This includes the delivery to our partner locations! The last thing you want to think about after heading home from a long day of work is not only the time preparation of your meal, but the clean up afterwards. If you’ve got a busy week ahead and know you won’t have time to make food prep a priority, a meal delivery service is the perfect option to help stay on track with your goals.